India Beats China In Attracting Funds for Engineering R&D! It’s not just outsourcing and software development which is growing in India; the new frontier is Research and Development (R&D) and India is leading the way in this niche as well. As per various reports by industry veterans, it has been found that India is the new destination for high-end engineering R&D happening all over the world as top dollars are flowing into the country at incredible speed. In fact, we have beaten China is attracting funds for such R&D projects worldwide. According to a new study by consulting firm Zinnov, out of $31 billion which was spent globally on Engineering related R&D, India alone accounted for $12.3 billion. This means that 40% of global budget on such high end R&D were spent in India in activities such as establishing R&D centers, hiring top scientists in this niche, and outsourcing engineering research projects into India. This is a steady increase of 8.3% compared to last year. In comparison, China accounted for $9.7 billion in R&D projects. As companies like Exxon Mobil, Lowe’s, Visa, Victoria’s Secret, JC Penny, CME Group, Wells Fargo, and British Telecom are opening up their research centre in India, Zinnov found that 69% of all offshore R&D centers which opened in 2015 were based in India. If TCS, Wipro and HCL were considered traditionally strong players, it’s the turn of Infosys, Tech Mahindra and L&T to make inroads into this domain. International players such as Altran and Alten are also setting up their own captive units to tap the immense potential of India. Automotive, software and medical segments witnessed maximum inflow of R&D projects in India; whereas IT and Telecom MNCs continued to outsource their research projects to 3rd party vendors. 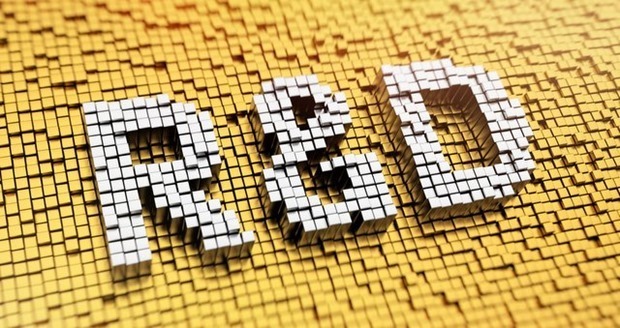 In Engineering R&D, India has now become world’s 2nd largest hub after Western Europe, where firms like Altran, Alten, Akka Technologies, Assystem and Harman Connected Services are strong, but increasingly aligning towards India for fulfilling their research goals. Overall, software R&D accounts for 35% of research work done in captive units, telecom & networking contributes 14% while semiconductors bring in 12%. New research projects in domains such as Consumer electronics, automotive, computer peripherals, medical devices, industrial, and aerospace & defence are also increasing at a fast pace. If we only talk about engineering R&D done in captive units, then $7.8 billion or 21.6% of global research worth $36 billion happened in India, which is an increase of 12.7% compared to last year. Meanwhile, as if supporting Zinnov’s research into global R&D sector and growth of India in this regard, Cisco has said that 9% of their patents were created in India. Out of 1100 patents issue to Cisco by US Patent and Trademark Office (USPTO) in 2014-15 , 100 were created by their India based captive unit. India R&D team of Cisco has around 11,000 engineers, which is their 2nd largest establishment outside US. Indian team has contributed 1000 patents. Overall Cisco has been issued about 20,100 patents.